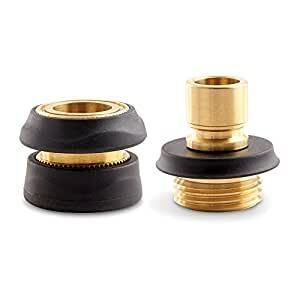 Gilmour Brass Quick Connector Set Includes 1 male and 1 female quick connector, both with comfortable rubber grips This product is made in China Brass connector set. Set includes 1 male and 1 female quick connector. Heavy-duty solid brass construction. Comfortable rubber grips. Lifetime replacement.